Prince Rupert Gas Transmission Ltd. (Proponent), a wholly owned subsidiary of TransCanada PipeLines Limited, is proposing the Prince Rupert Gas Transmission Project (proposed Project), an approximately 900 km natural gas pipeline from near the District of Hudson’s Hope to the proposed Pacific NorthWest LNG liquefied natural gas export facility on Lelu Island, within the District of Port Edward. The proposed Project would involve the construction and operation of a 48-inch (1,219 mm) diameter pipeline, metering facilities at the receipt and delivery points, and three compressor stations, with provision for up to an additional five compressor stations to allow for future expansion. The proposed Project will have an initial capacity of approximately 2.0 billion cubic feet (bcf)/day with potential for expansion to approximately 3.6 bcf/day. The proposed Project is subject to review under British Columbia’s Environmental Assessment Act. The proponent must obtain an environmental assessment certificate before any work can be undertaken on the proposed Project. Prior to submission of an application for a certificate, the Environmental Assessment Office of British Columbia (EAO) must first approve the Application Information Requirements. 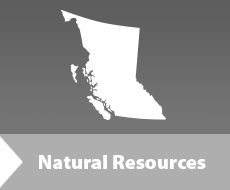 The EAO held a 30-day public comment period from November 19 to December 18, 2013 on the proposed Prince Rupert Gas Transmission Project draft Application Information Requirements (AIR) document. The Proponent submitted its application (Application) to obtain an environmental assessment certificate, which is required before any work can be undertaken on the proposed Project. The EAO held a public comment period from May 26 to July 14, 2014 on the proposed Prince Rupert Gas Transmission Project Application. The intention of seeking public comments on the Application is to ensure that all potential effects – environmental, economic, social, heritage and health – that might result from the Project are identified for consideration as part of the assessment process. Citizens were invited to comment online, by email, fax, mail or to attend an information session in Terrace (June 16), Port Edward (June 17), New Hazelton (June 18), Smithers (June 19), Hudson’s Hope (June 23), Mackenzie (June 24), or Fort St. James (June 25).